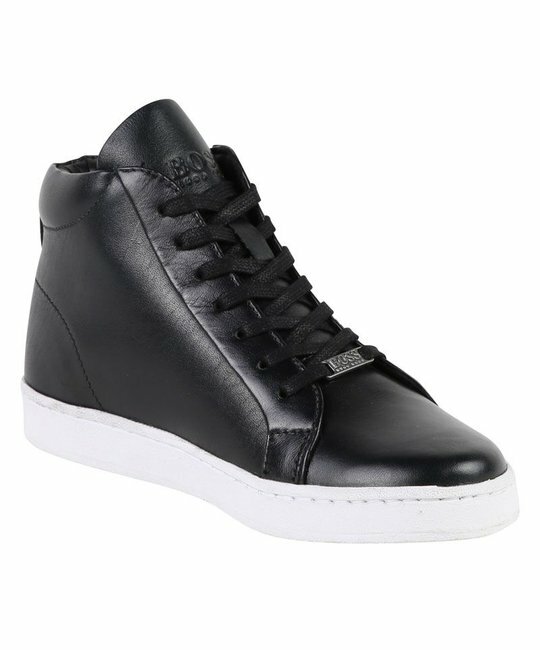 BOSS black leather lace up high top sneakers with metal detailing. 100% Leather. Imported.